The idea for Golem was first developed by a group of people who had previously worked at a company known as Imapp, said Marek Osiecimski, CCO of Golem, in a statement to MLG. Imapp had been involved in Ethereum almost from the very beginning too. Based on the technology Imapp was using some employees came to the realization that it was an excellent platform to facilitate a real decentralized market for computing power. Osiecimski explained that it was also Golem’s CEO, Julian Zawistowksi’s, fascination with the SETI@HOME project, a program the University of California has run for over 18 years now at the Space Sciences Laboratory which seeks to analyze radio signals to search for signs of extraterrestrial intelligence, that inspired the creation of the project. Imapp already consisted of a group of talented developers and managers involved in various programming and consulting projects; therefore, the core team was already in place prior to raising funds. The Golem Network is building an accessible-to-everyone, distributed, supercomputer that reduces costs (sometimes by over 10x) of scientific research, big data analysis, graphics rendering, machine learning, AI and other tasks that requires heavy computational power. The network does all this while bringing CPU cycles into the sharing economy so anyone with a computer can connect it to the Golem Network when they’re not using it and make an automated side income. Osiecimski explained in a stament to MLG that Golem’s token generating event in September 2016 went better than expected. The team raised the maximum cap in less than 30 minutes, which was an ETH equivalent of $8m. Raising funds allowed Golem to scale up the team to approximately 20 people and they are still hiring. With such an ambitious project, Osiecimski stated that the Golem team’s present focus is centered on creating the building blocks of the core technology. He believes this is essential for future integrations and use cases that includes network protocols, resource management, and transactions systems. The first proof-of-concept integration of the Golem Network involved a decentralized rendering farm using Golem for computations. At the moment Golem is supporting Blender and LuxRender (both open source); however, they are also planning to add support for commercial rendering software. Centralized cloud providers such as AWS and Azure are Golem’s closest competitors, explained Osiecimski to MLG. There are a multitude of advantages to using the Golem Network such as having decentralized peer-to-peer architecture, no single point of failure, lower costs due to perfect competition and utilization of idle computing resources. Finally the advantages that come with a platform that is eventually open to developers innovating on top of Golem. 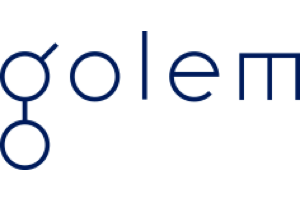 The team at Golem truly believes that the future of the Internet will be as a decentralized network, enabling users to securely and directly exchange content, without sharing it with corporations or other middlemen. Accordingly, the Golem network will be used not only to compute specific tasks, but also to bulk-rent machines to perform operations within a self-organizing network. This will require the simultaneous development of other technologies, many of which have gained significant traction in recent years, said Osiecimski.